"Lord Arturius, I think I am being followed." The Jovani ambassador leaned back in his chair and looked at her in surprise. "My dear, what makes you think that?" "It&apos;s just..." Philomena shrugged, "a feeling." "A feeling," Arturius echoed. His surprise faded, and he assumed a fatherly air. "Well, King Godfrey most likely does have guards on you. That shouldn&apos;t be a surprise. You are very valuable to him, my dear." Valuable, thought Philomena. That was the right word. Like a horse, or a sapphire. "Yes, this is different." "Hm, well, I dare to hope that it is nonetheless benign. Was there anything else I can help you with, Lady Philomena?" Philomena stood. "No, thank you, Lord Arturius." "It is always a pleasure to see you," said Lord Arturius, sitting down at the desk and pulling a stack of papers towards himself. "Please don&apos;t hesitate to come to me with any concerns or questions, no matter how trifling." "Thank you, Lord Arturius," said Philomena, forcing herself to smile. 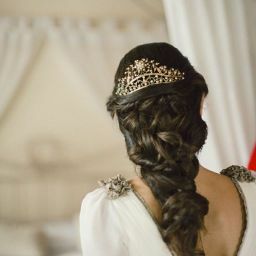 After lunch, the Queen instructed Philomena to go and try and make herself presentable--with gentle emphasis on the word try--because the King wished to speak to the family that afternoon. Since she had an hour spare, Philomena went to the little kitchen garden that crowded up against the wall in one corner of the castle. For a few years her world had been filled with beauty: the long green lawns and flowerbeds of Monsilys Palace, which overlooked the endless blue sea, and then the stepped garden leading down to the forest at Whitefields. Breg Castle was not beautiful. Its hulking form seemed to threaten the little town that cowered below it. Inside it was dark and cold, the sounds of the hundreds of people within the castle compound dulled by thick walls and heavy tapestries. Being among the struggling herbs and medicine plants was still better than being inside the palace. 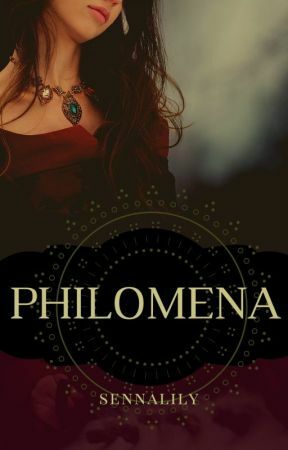 Philomena sucked in a deep breath, expanding her lungs against the suffocating feeling that pressed down on her. She found Crown Prince Tancred there, in a familiar attitude with his elbows braced on his knees. He was scribbling in a bound volume, an ink stand on the bench beside him. He sat up and put the book down when he heard her enter. "Lady Philomena," he said. "How are you? " "I am well, thank you your highness." said Philomena. "Might I ask, do you know why the King has called us all together this afternoon?" Tancred leaned back, a frown creasing the space between his brows. "I don&apos;t, but I would guess it&apos;s about the Kingmoot," he said. Philomena looked at him blankly. "When the Teuta and Cimbra joined together to form Deusetats, they agreed that they would come together every ten years to vote on who should be high king of the two clans. In practice it never changes anything: my uncle is king by right of the Teuta, and there are more Teuta barons than Cimbra. My uncle will remain king, and as his heir I will rule after him. The Kingmoot is just an opportunity for the barons to drink all our ale, extinct the local wildlife and complain about tithes." Tancred cocked his head. "Has no-one ever told you all this?" "The King and Queen do not feel it&apos;s necessary for me to learn Deusetatsi history," said Philomena. "Hm." Tancred frowned again. "I will have a word with my uncle about that." "Don&apos;t thank me yet," said Tancred dryly. He picked up the book and opened it, which was a clear dismissal, so Philomena moved on to another of the benches, set against the castle wall, and sat down. A little while later, she saw Tancred check the position of the sun, sigh, and shut his book. He nodded to Philomena as he left the garden, and then she was blessedly alone. She leaned back against the wall, closed her eyes, and let the sun on her face fool her into believing that she was back in Alysia, the country of her birth. She saw the garden at the back of the little house that she had lived in with her mother and father--or the man she was no longer to think of as her father--and her brother Luca. The memories were hazy and smelled of salt spray and the basil that had overtaken most of the garden. She had been ten when the unrest in Alysia forced her parents to book passage to Monilys, capital of the Jovani Empire, in the hope of a better life there. Then had come the flux, and of the four who had stepped onto the boat, only she and Luca stepped off it. Philomena opened her eyes and looked up at the sky: clear, but with heavy clouds scudding across from the east. It was past time for her to be trying to make herself presentable. As she stood, she realised she wasn&apos;t alone in the garden. A man, probably twice her age with an agile frame and brown skin and hair, was over near the kitchen door. He was inspecting a rosemary plant, but Philomena would swear that a moment earlier he had been watching her. This was not in itself unusual: Philomena had always been something of a curiosity to the Deusetatsi. But lately she had felt as if the scrutiny was more... more often, more intent. Perhaps Lord Arturius was right and it was only King Godfrey exercising his power over her. Unsettled, Philomena hurried out of the garden without looking back at the man.